We’ve seen a bunch of mobile phones already from various manufacturers that are all slated to be unveiled at the Mobile World Congress, and now, you can Sony Ericsson to that growing list. 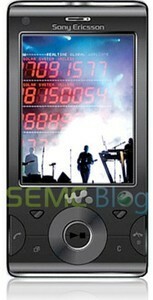 The Sony Ericsson Hikaru has been reported before, but no one knew what it would look like. Well, just a few days away from the grand event in Barcelona, we now have this leaked image to tickle our fancy. It’s rumored to be the next XPERIA X1 though the current specs available don’t really say much as to which Sony Ericsson family it belongs to. It’s got an 8-megapixel camera, 2.6-inch display, WiFi, A-GPS, 3.5mm headphone jack, and a kickstand similar to the N96. That’s it for now. For more info regarding the Sony Ericsson Hikaru, check back in a weeks time when hopefully more details will be made available already.